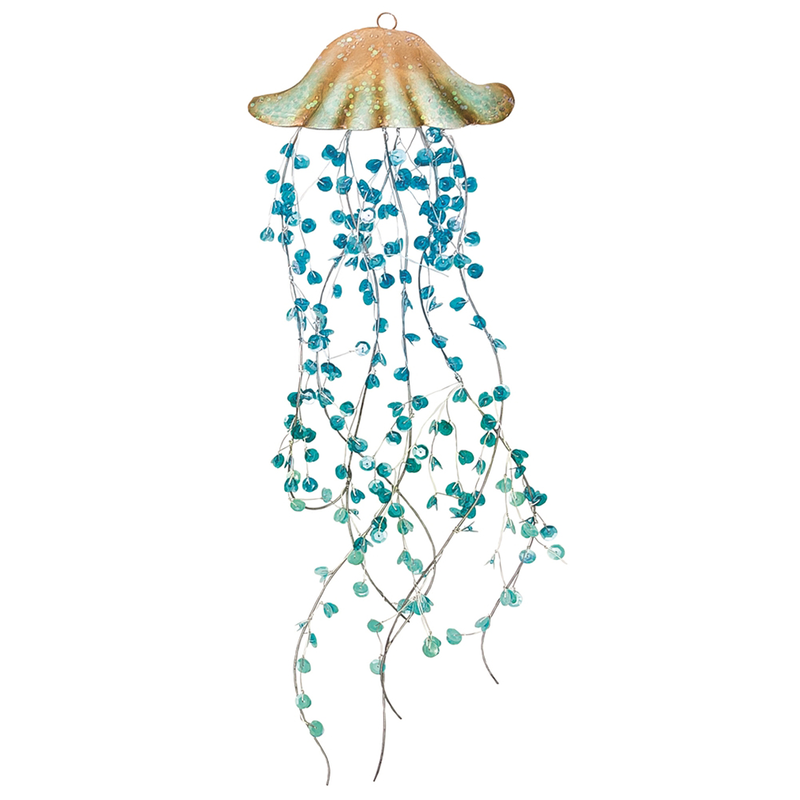 Bring coastal style to your bedroom with the Boca Raton Jellyfish Wall Art. This beach wall art features a gold, green and blue jellyfish with flowy sequin tentacles and capiz shell details. For further items, we ask you to take a moment to browse our thorough selection of beach wall art at Bella Coastal Decor today.